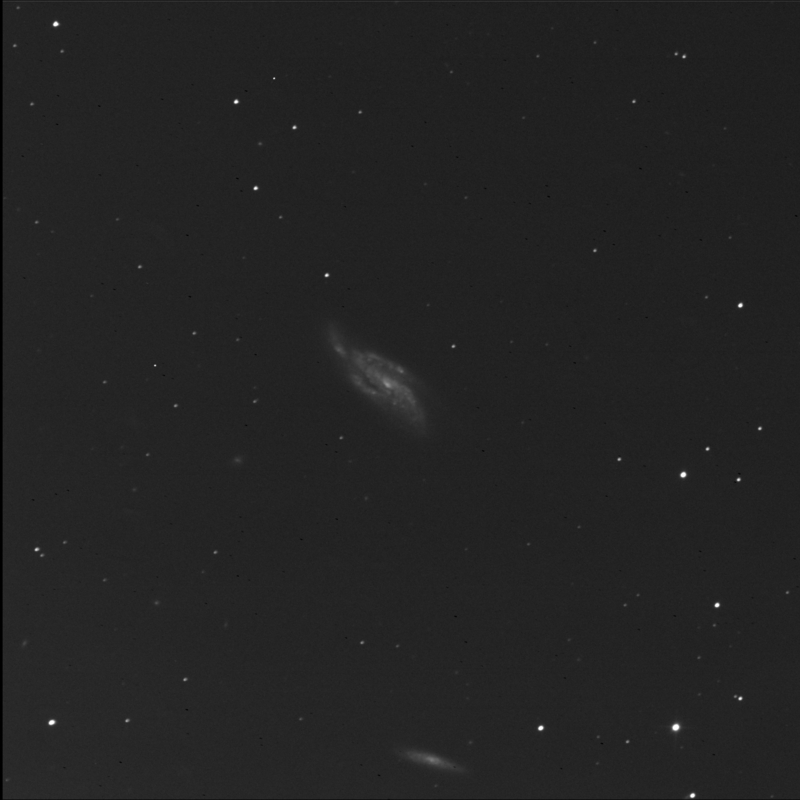 BGO imaged NGC 4088 for me. A galaxy in Ursa Major. One of the RASC Finest NGCs. Seems twisted. South of the main galaxy is another edge-on. 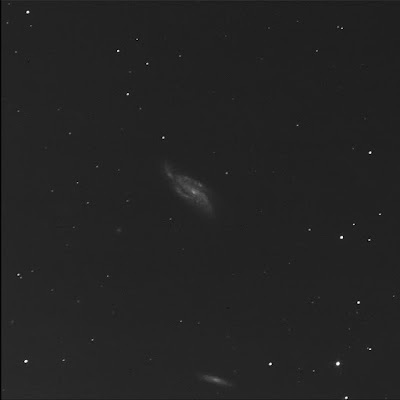 Small NGC 4085. LEDA 2372650 is to the south-east, near star J120605.0+502706. Further, near the edge of the image, is LEDA 2371976. A small bright oval. A soft round fuzzy appears south-east of the main galaxy: MCG 9-20-92.